This is a book crammed with improbability, non-credibility, silliness and a bit of nonsense. Totally, totally delightful. Derry O'Donnell is an American actress living in Ireland, struggling to find work. 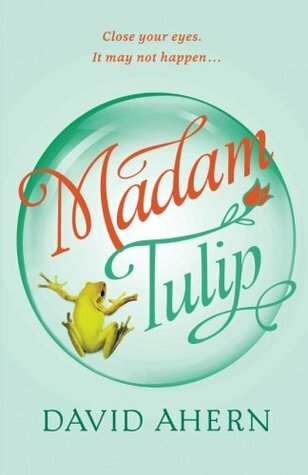 Needs must…and so Madame Tulip is born, fortune-teller for hire. Derry assumes she’ll walk away from her first engagement at a celebrity-attended charity ball with nothing more than a happier bank balance and a healthy name-dropping list. But when one of the attendees, a famous rapper, dies, she has to get her Miss Marple boots on. This is very much a perma-smile book, enjoyable because of its aforementioned silliness. There are some lively and colourful characters in Jacko and Vanessa, Derry’s estranged parents, Bruce, her gay friend, Bella, her also-out-of-work actress friend, as well as those celebrities whose lives aren't quite as deserving of idolatry as you’d think…who’d have thought it! This could have very easily flopped, but in Ahern's hands, it triumphs: an intelligent, articulate, witty and funny writer. It’s all great fun and I’m eagerly anticipating smiling through book number two.